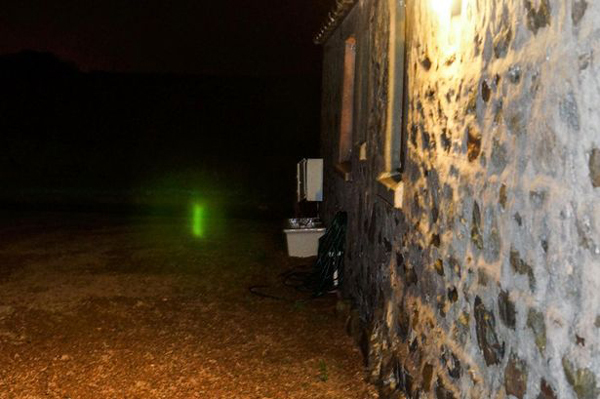 Couple Capture Image Of Glowing Green Figure! Former policeman Gary, 52, said there was no explanation for the figure. He said: “It looks like a little green man running. It just disperses into the surface of the road. 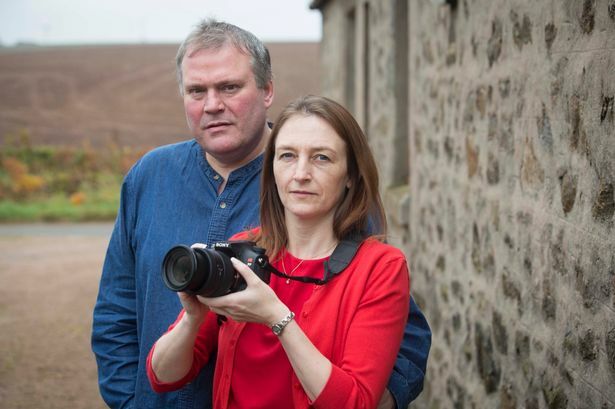 Hotel owners Gary and Amanda, 46, from Collieston, Aberdeenshire, tried to recreate the picture but have never seen the strange light since. But they said they weren’t spooked by the images after experiencing a string of paranormal happenings at the Slains Estate house. Amanda, 45, said staff at their hotel – which is also thought to be haunted – suggested the ghostly figure may have come from there. She said: “I have no idea what it was. We have used the same setting, taken photos in the same location and in different locations and nothing has appeared again. Last week, Morag Ritchie, of Fraserburgh, told how she was woken in the night by flashing lights outside her house. The 50-year-old claimed several members of her family saw a UFO. Her daughter Cara’s fiance, Scott Bower filmed footage on his phone. A Ministry of Defence spokeswoman could not explain the sighting and Grampian Police said there had been no reports of lights in the sky. Scottish paranormal investigator Malcolm Robinson is now reviewing the footage.